The billet steel flywheel weighs 16lbs and the billet aluminum weighs 9lbs. Both accept a sprung hub clutch disc. 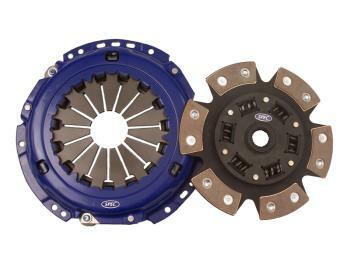 The stage 5 clutch must be used with Spec billet flywheel.